Slideshow: Mercedes-AMG is laying out the full lineup of the 4-door Coupe, most recently introducing the entry-level GT 43. Here's what you need to know about it. The Mercedes-AMG GT 4-door Coupe is an exhibition of what Mercedes and AMG are capable of. And while the top-notch performance of the GT 63 and GT 63 S are both impressive, Mercedes-AMG aims to bring that level of quality to the masses with the introduction of an entry-level GT 43. 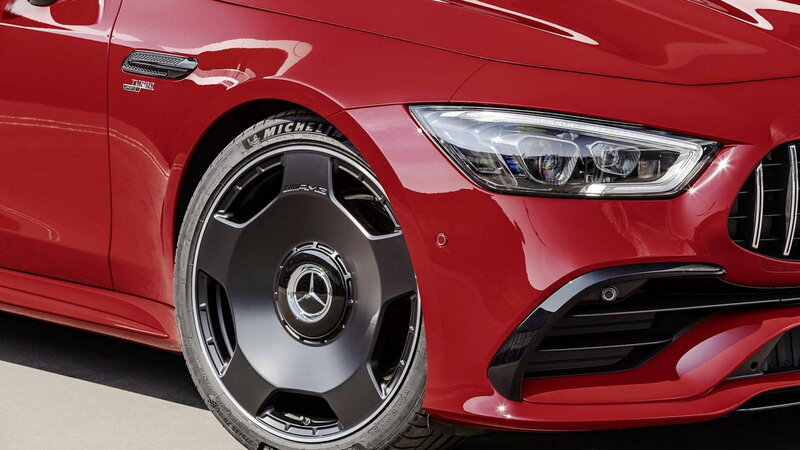 The design of the GT 43 seems to resemble that of the more powerful GT 53 closely, but the most noteworthy addition introduced with the GT 43 is the retro-style monoblock AMG wheels. In the past, I have not been a fan of these classic AMG wheels on more modern, less boxy Mercedes models, but for whatever reason, the look of these wheels on this car just seems to work perfectly. >>Join the conversation about the Mercedes-AMG GT 43 right here in MBWorld. 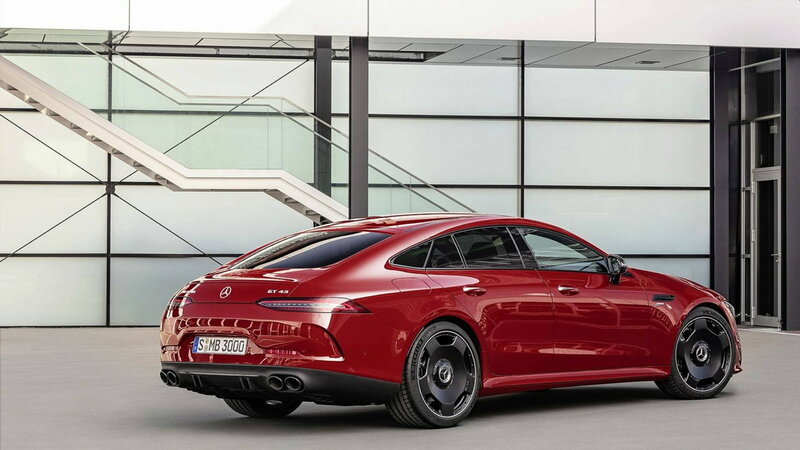 The straight-6 3.0-Liter turbocharged engine in the GT 43 is a detuned version of the same powerplant as the one in the GT 53, making 68 HP less. The GT 43's 367-HP and 369-lb-ft turbo engine can still propel the massive 4-seater from 0 to 60 mph in just 4.9 seconds, which, in reality, is more acceleration than most people will ever need. 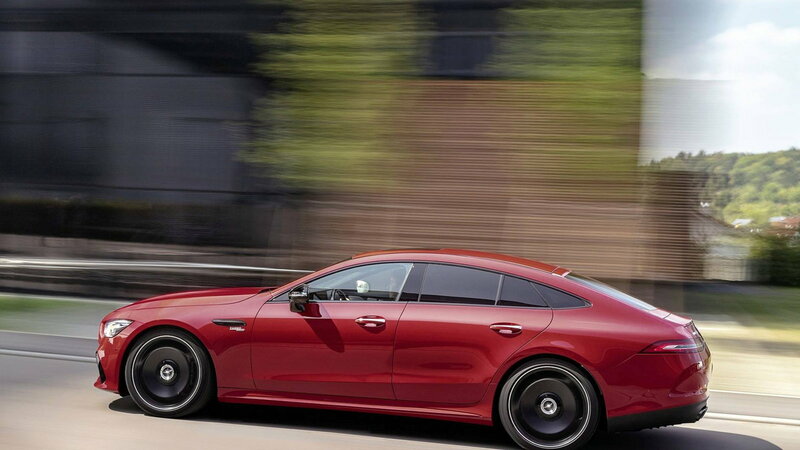 The GT 43 also shares the 4MATIC+ system with the 53, as well as EQ Boost system and the 9-speed automatic transmission. The 4MATIC+ AWD program can adjust torque distribution on the go for perfect balance and driving dynamics. And the EQ Boost's 184 lb-ft momentary shot of force can assist the driver in rapid acceleration. As of now, the GT 43 starts at €95,259, and the GT 53 at just under €110K in Germany where orders are already being taken for the new GT. The equipment and tech options offered with the two variants are said to be almost identical. 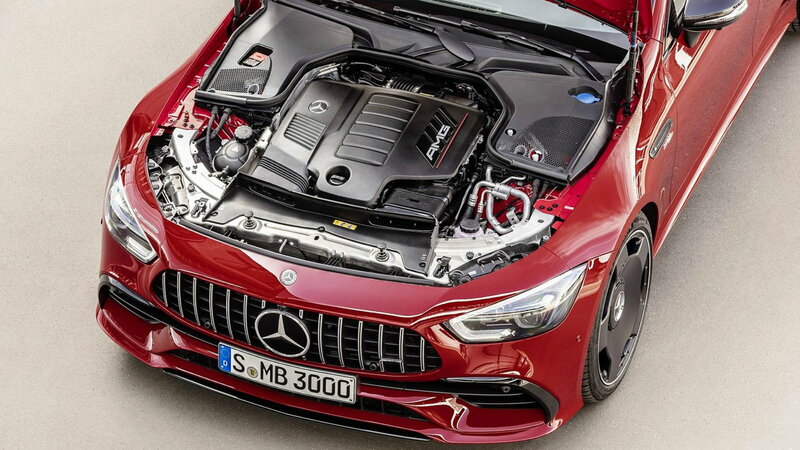 While the arrivals of the GT 63 and 63 S have been confirmed by the company for early 2019, here in the US, we await the new AMG sports car eagerly. 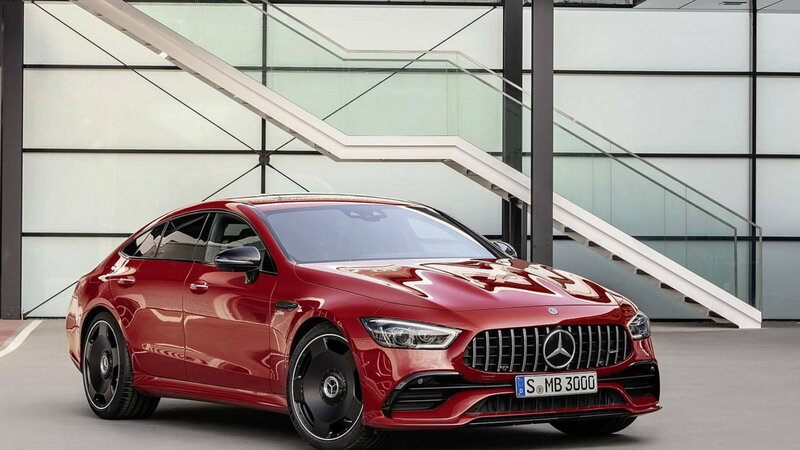 Mercedes has not made an announcement on the exact schedule of availability for the 4-door coupe in the US as yet, but we hope to find out more soon.